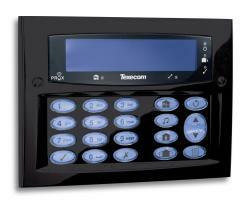 Texecom are the UK's leading manufacturer of alarm equipment, and have become so popular partly because of the level of customisable options they provide. 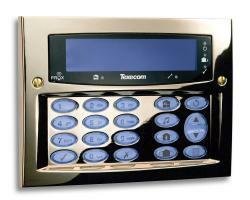 The following is an overview of the different alarm keypads Texecom provide - both Texecom Premier keypads and Texecom Veritas keypads. 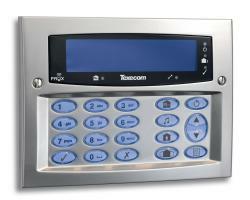 The Premier Elite is Texecom's most advanced alarm system, and also comes with the most customisable keypads - both surface-mounted and flush options, along with wired or wireless alarm keypad versions too. 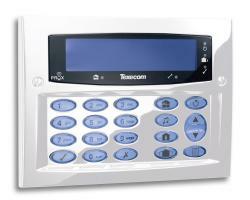 The standard keypad that comes with the Texecom Premier Elite alarm system is a surface-mounted keypad, designed in white polymer with a lid - that opens / closes to show / hide the keys of the keypad. The design of this keypad is fairly discrete and comes with a backlit blue screen. This white surface-mounted keypad comes in both wired and wireless versions. 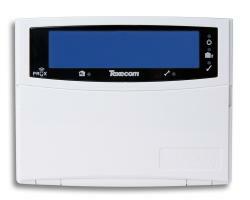 The Texecom Veritas is Texecom's entry-level wired-only alarm system. 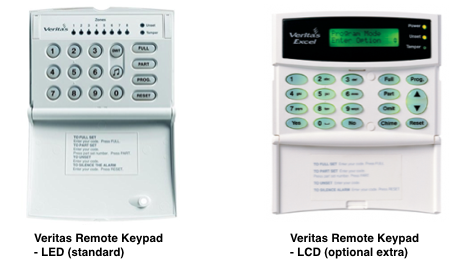 The Veritas comes with 2 keypad design options, with the option for an LED screen option or LCD screen option. Both have the same external design - based around a simple elegant white box, with lid (hiding the keys of the keypad). 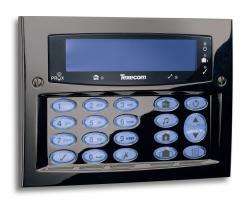 The Texecom alarm system is very versatile and allows you to upgrade / replace your keypad for a different version if required. 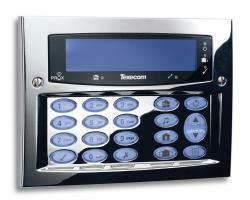 If you want to upgrade your Texecom alarm system or buy a new Texecom alarm you should speak to our team at AMCO Security - as are one of the UK's leading Texecom installers, operating across the whole of the UK.